Every year I start off strong on my Christmas decorating, then every year I feel like things fall a little flat. I LOVE Christmas – it’s always my favorite time of year. But each year when I decorate, I tend to start feeling a little shy. 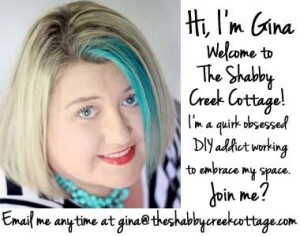 Here’s why: My house isn’t “blogger perfect.” Far from it. I have a bit of envy for those bloggers who live in big, old, gorgeous farmhouses. I see them all decorated up to the nines with wreaths and greenery and bows. 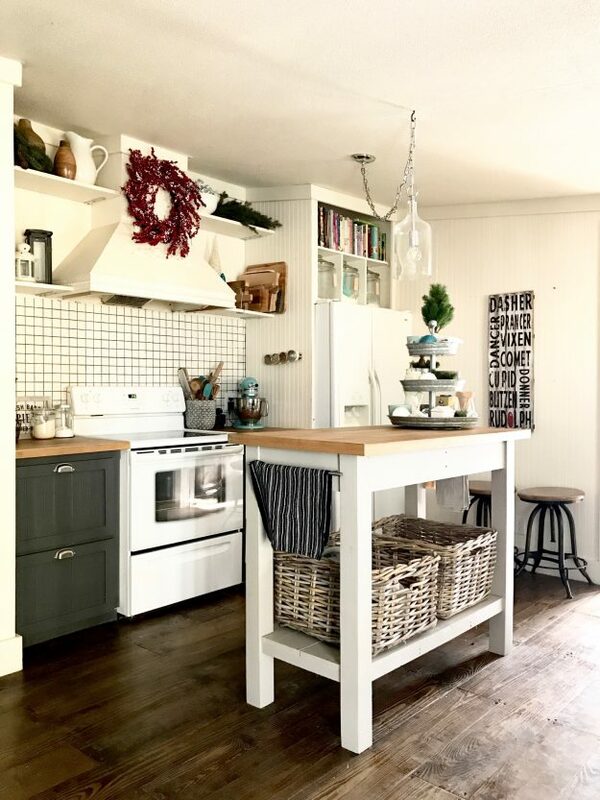 All that trim and woodwork and yummy details – oh my! But on those days when I’m feeling a bit unimpressive, I just have to remember that it’s not about where you live, it’s about HOW you live. When you think about the reason for this season, then all those trees, ornaments, greenery & such don’t really matter much in the grand scheme of things. Because I’m pretty sure none of it existed in that stable all those years ago. While it does make me crazy happy to wake up in a place that’s all pretty with baubles and bows, it’s good to remember that even though I feel a bit “less than” because our double wide will never have that pretty banister covered with gorgeous greenery, we do have a home we love. And it reflects the simple life we love. One without tons of upkeep. Or tons of cleaning. Or tons of stuff to make it cozy. Because a perfectly simple life is best kind, don’t you think? My best friend Angie is having a simple kinda Christmas, too! So make sure you stop by and see her home! « Have you ever tried Pecan pie Bread Pudding? Gina!!! It is absolutely gorgeous! I don’t go on pin interest (or whatever) but it is just beautiful…evetry single nook! Thank you so much Char, that just made me smile 🙂 Merry Christmas! You have a beautiful home. You should be proud. Your home loves you and smiling back at you. Love the tour! Your home is gorgeous – so warm and welcoming. Thanks for sharing. It inspires me! Merry Christmas! Your house is beautiful. Simple but you can tell full of love and creativity. I always enjoy your pictures. Merry Christmas. Thanks so much Judy, you are so sweet 🙂 Merry Christmas!! It looks amazing. 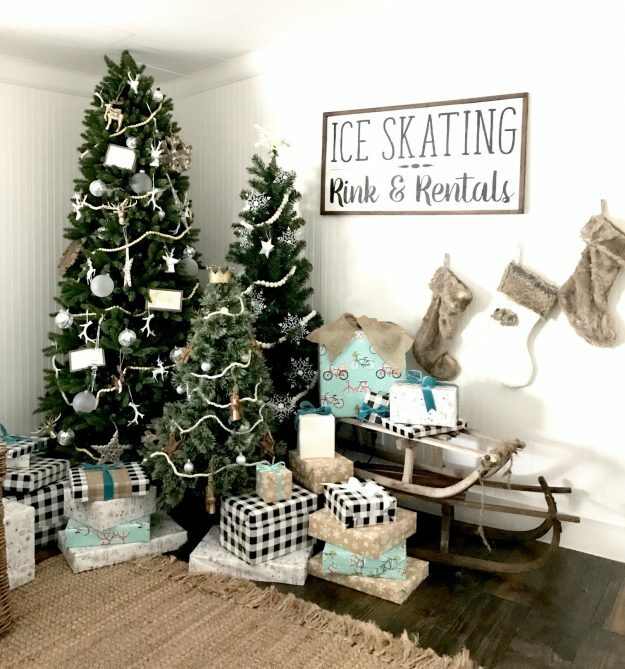 You have such a knack for decorating and I love the big Joy and skating sign. 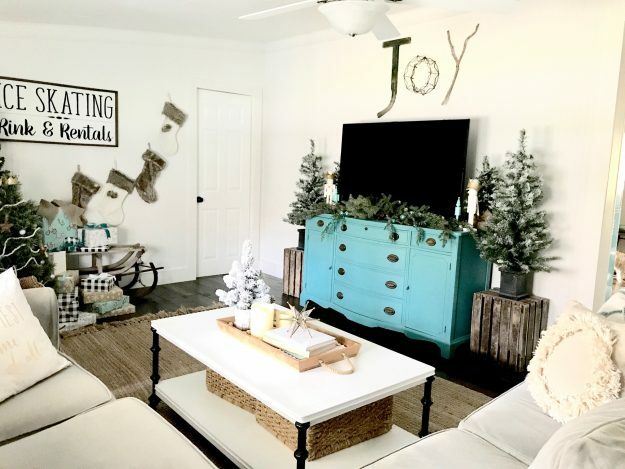 What a fabulous idea to use crates for the two small trees on either side of your TV. I have a similar TV stand set up – but no tree in the room. I think I may copy your idea for next year and add the two smaller trees. Love it! Great job and Merry Christmas! Thank you Kathy, you are so sweet 🙂 Merry Christmas to you too! Your home looks loved and lived in, the way it should be. 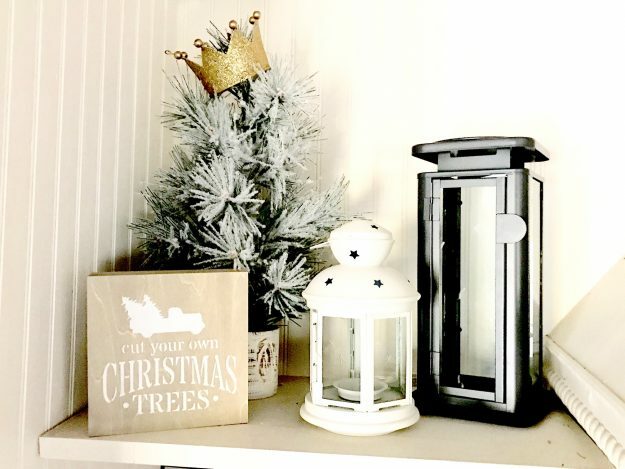 Your home is beautiful and your Christmas decorations are perfect! Thank you so much Jane, you are so sweet! Well said Gina! I love your home. You have such great ideas and are such an inspiration. It’s refreshing to see that some bloggers live like the rest of us. Some of the today’s decorating trends are too over the top for my tastes. 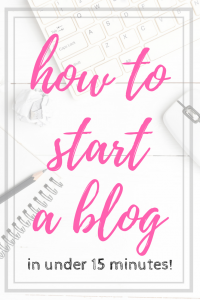 I use to follow several bloggers, anxiously awaiting their next post, but lately I have begun to feel disappointment in their posts. They seem so frivilous and unrealistic. Keep on keeping it real Gina. Remember…”There’s no place like home!” Merry. Christmas to you and your family! You are so sweet Ilene, thank you! You wouldn’t know its not an old farmhouse – great job. thanks for the tour. Gina you holiday decor is perfectly you. ❤️ I love every little holiday touch – it’s happy and homey. 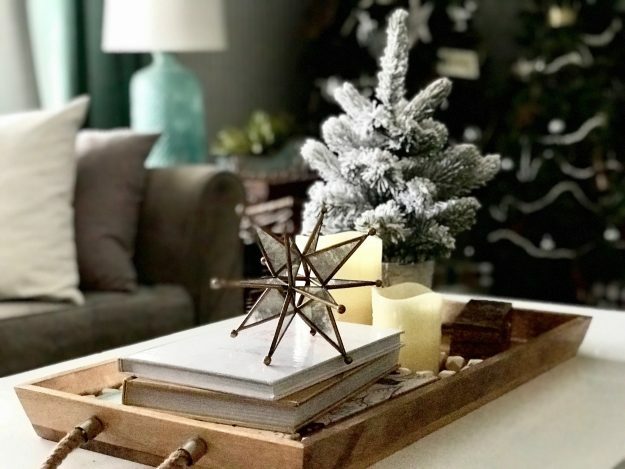 Your home is perfect and your decorations right on the mark! What an awful thing it would be if we all did things the same way! Merry Christmas to you and yours. Thanks for the tour–everything is so lovely! Your home is so cozy! Love all of your seasonal signs-did you make them? Also Gina, what is the color on your cabinets, a dark gray? Love it! Thank you for sharing your lovely home. What a beautiful, lovely and cozy home you have. I absolutely love your decorations. Gina, your home is beautiful! You’re such a breath of fresh air! Your honesty and genuineness is what I love most 🙂 thank you for sharing your home with us! It looks perfect to me! Thank you so much Sherry, you are so sweet!! Gina, I love your home! I am a simple girl and I have never wished to be or have what the other may have. I also love to decorate and take a lot of pride in my small home. I have always said a coat of paint does wonders and that’s where I tell people to start. I really enjoy watching your videos and you did a fabulous job on your home. Merry Christmas! I love your home! And you are exactly right—its not where you go in life, it’s about who you take with you! I love the scripture about laying up treasures on earth and YOU seem like you have your heart in the right place! Merry Christmas from East TN! Your home and decorations are beautiful. I’m fond of all the black and white. Your aqua buffet is one we used to own-I should have saved it and painted it. Enjoy the holidays. THank you Jini, I hope you have a wonderful Holiday season! Ha ha, Thank you Kathleen 🙂 Merry Christmas! Your home is beautiful!! I also live in a mobile home (double wide) and love it!! It speaks to people who I am… i remember Oprah said that “your house should rise up to greet you”!, and yours, I’m sure does that for you as mine does!! A home is wherever you make it, thank you for sharing yours!! Thank you Laurie, I couldn’t agree more 🙂 Merry Christmas! Makes me happy to see your home all decked out for Christmas. I see a lot of creativity and cozy style! Happy Holidays. I love your home…I think it looks beautiful and you are awesome, too! Thank you for sharing. Thanks so much Tania,you are so sweet! Your house is beautiful and very welcoming. I also grew up in the house we live in. I have convinced my husband that it is time to sell and move on. It is heartbreaking and exciting all at the same time. We are both retired and the house is just too big. We have five bedrooms which require a lot of cleaning and I am too old for all of that. Keep your home the way you have and enjoy your home and your family. Thank you for your refreshing honesty. Yes, your home is truly lovely but what really matters is the love that lives there and not how perfectly decorated it is! I too scaled back this year to spend more time with the people I love making memories. Maybe the best decision we’ve ever made at Christmas time. I think it’s stunning perfection..I just watched your “story”..I am so proud of you and impressed. Aww, thanks so much Phyllis! You have created a wonderful home for you & your family! I always enjoy seeing your ideas because they are so down to earth! There are so many of us who are in the very same mindset. Thanks so much Christine, Merry Christmas to you and your family! It looks lovely..I adore the crowns on the trees. Seriously, the reason I love your blog. A real home, with real comfort. I look around our 1928 farmhouse and see all the things that I need to “fix”. Visitors walk into our home and tell us how cozy and warm it is. 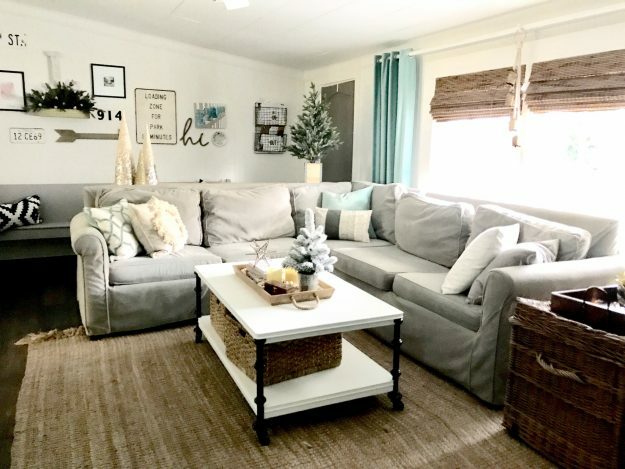 I see photos of your home and think I could just walk in, kick my shoes off and cozy up on your sofa without worrying about messing something up! Now that’s an awesome home! Thanks so much Wren, that is so sweet! Love your country home and your easy crafts! Merry Christmas! Gina-your home is gorgeous! Don’t sell yourself short! I am going to pin your lovely home on my Pinterest page. 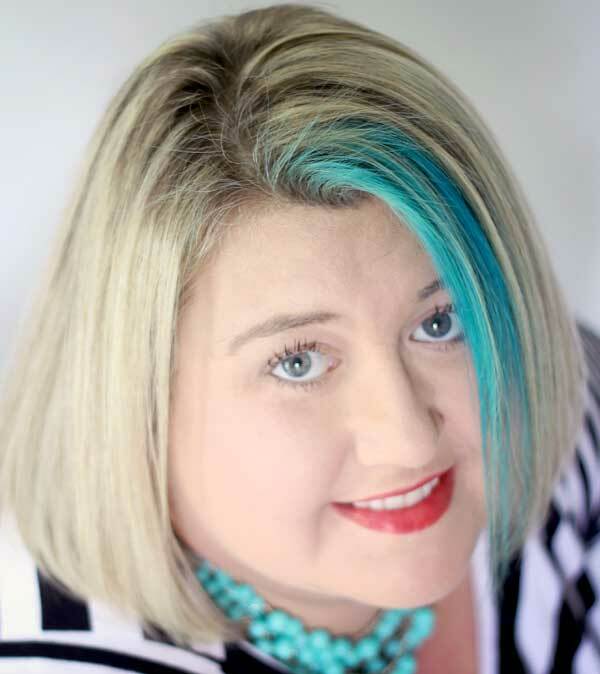 I too am a great fan of turquoise and I love how you have incorporated it into your warm and stylish home! It is after Christmas, I know. But I just discovered your site and I LOVE your home. What a decorator! 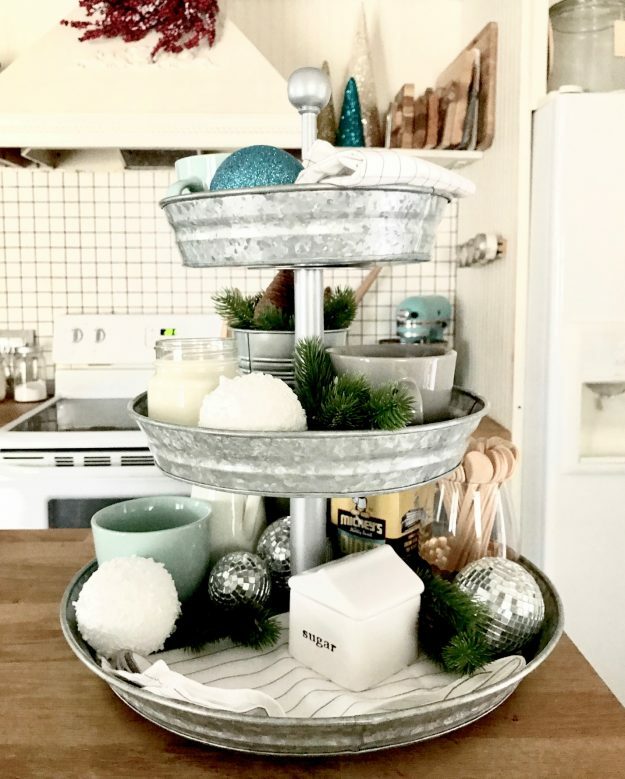 What is that cute three tiered stand that you have on the kitchen counter? As always, I love every single detail about your home! You have the best style. 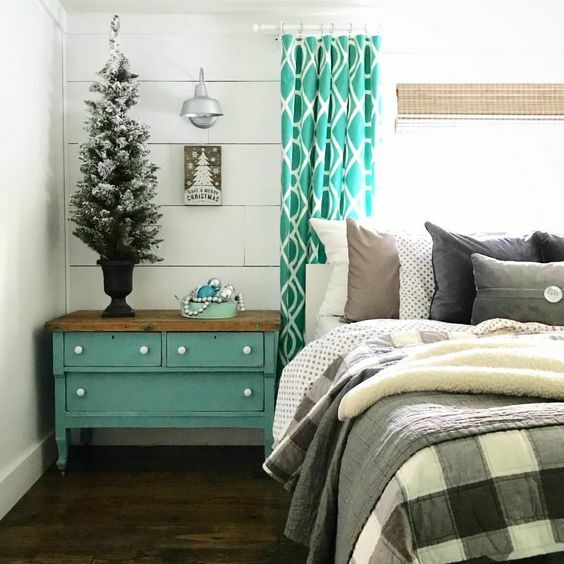 I always love seeing your decorating ideas, as they are never dull and boring like all the other repetitive posts I see on my Instagram feed. Keep doing your thing girl, because you are rocking it!